NextWaveDV – Canon EF 24-105mm f/4L IS USM …Mug? I opened my front door this morning to see a small box in the mail for me. I excitedly ripped it open to see a Canon fanboy’s dream! No, not a Canon 5D Mark III. 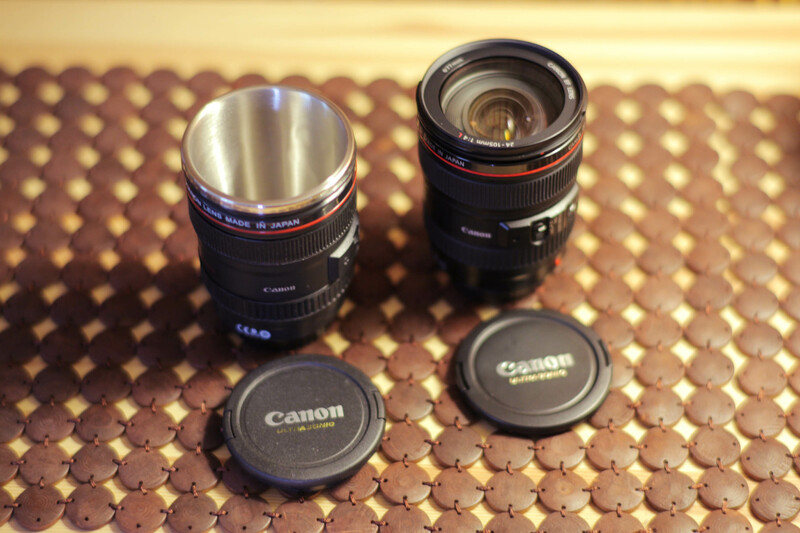 A mug built as a replica of the Canon EF 24-105 lens. I saw the 70-200 replica thermos awhile back, but frankly, I’m not much of a thermos guy. 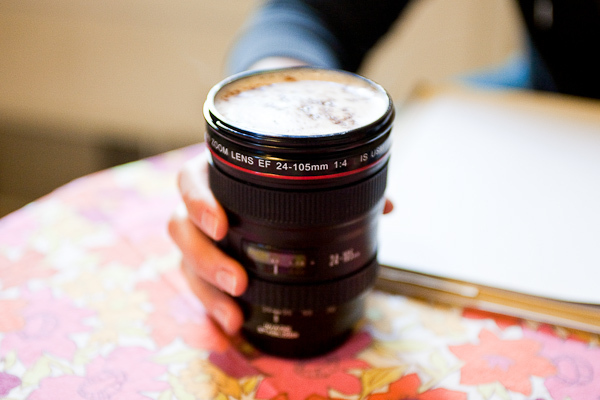 But when I came across the 24-105 mug at Photojojo, I had to pick it up. On the outside, it looks just like my 24-105 lens. It even has working IS and AF switches! 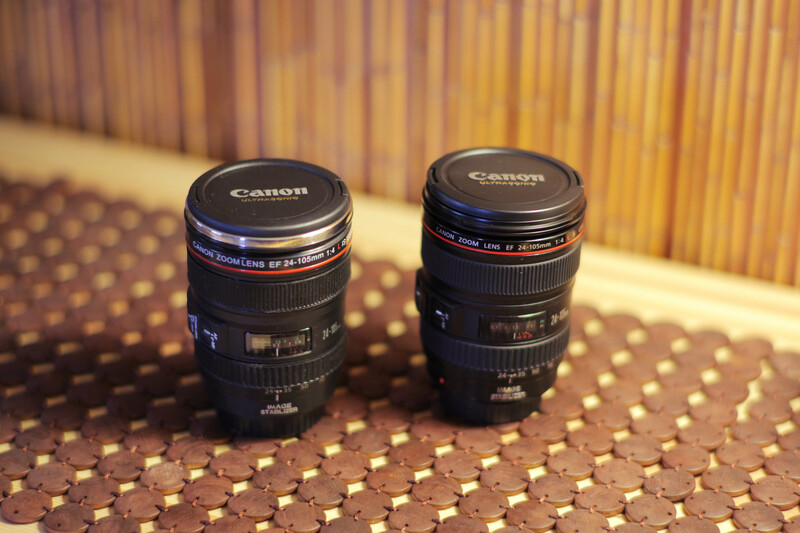 It isn’t until you take the lens cap cover off till you see that it’s a mug! According to the website, it is dishwasher safe. One quirk I found is that the lid doesn’t fit on tight so if you were to tip it upside down, the lid would fall off. Not a huge deal since mugs usually don’t even have lids. But just something to remember so you don’t lose it. Also, don’t expect it to be the same build quality as your Canon L series lenses. 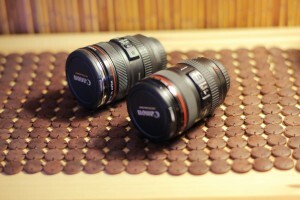 The plastic and rubber definitely aren’t as good as the actual lens. But I think overall it’s a decent mug and a great gift or self indulgence for any Canon fan. I want one! That is crazy. My next gift to myself, LOL! FYI, I am finding your site very informative. Thanks for the info.